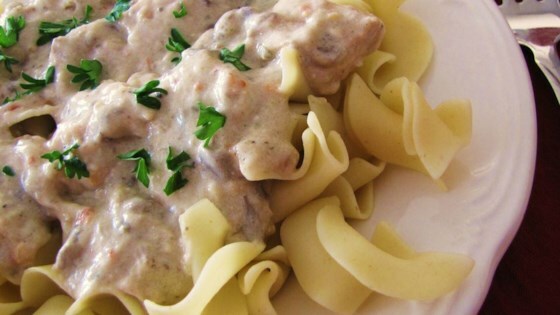 "Cubed chicken breast cooked in the slow cooker with a simple, creamy sauce mixture. This is so good, and so easy to make on a busy day. Serve over hot cooked rice, if desired." I found this to be very salty tasting even with using a low sodium soup. It didn't end up being family favorite.